Do you love insects as much as we do at Tenstickers? If the answer to that fairly simple question is yes, then this wall stickers sheet is for you! 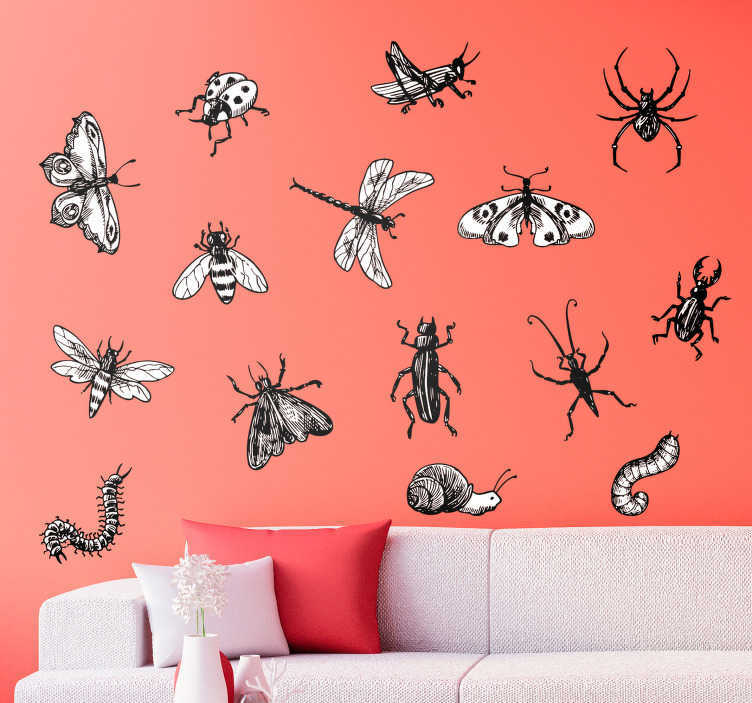 Depicts a wide variety of insects, from the wasp, to the bee, to the spider - If you love any of these animals then surely this sheet would make the perfect teens room decal!